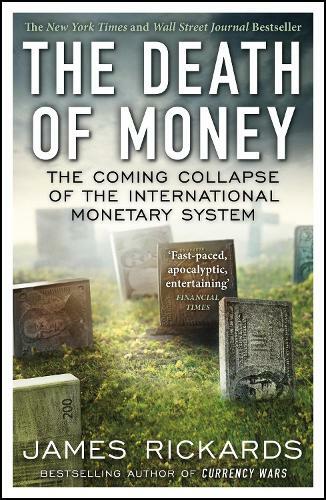 The international monetary system has collapsed three times in the past hundred years. Each collapse was followed by a period of war, civil unrest, or damage to the stability of the global economy. Now James Rickards explains why another collapse is rapidly approaching. The US dollar has been the global reserve currency since the end of the Second World War. If the dollar fails the entire international monetary system will fail with it. But Washington is gridlocked, and America's biggest competitors - China, Russia, and the Middle East - are doing everything possible to end US monetary hegemony. The potential results: Financial warfare. Deflation. Hyperinflation. Market collapse. Chaos. In The Death Of Money James Rickards offers a bracing analysis of the fundamental problem: money and wealth have become ever more detached. Money is transitory and ephemeral; wealth is permanent and tangible. While wealth has real value worldwide, money may soon be worthless. The world's big players - governments, banks, institutions - will muddle through by making up new rules, and the real victims of the next crisis will be small investors. Fortunately, it is not too late to prepare for the coming death of money. In this riveting book, James Rickards shows us how. James Rickards is the author of Currency Wars, which has been translated into eight languages and won rave reviews from the Financial Times, Bloomberg, and Politico. He is a portfolio manager at West Shore Group and an adviser on international economics and financial threats to the Department of Defense and the U.S. intelligence community. He served as facilitator of the first-ever financial war games conducted by the Pentagon. He lives in Connecticut.